The advancement of transparent electronics, one of the most anticipated technological developments for the future, is currently inhibited by a shortage of high-performance p-type conductors. In materials, doping is the intentional introduction of impurities into an intrinsic semiconductor for the purpose of modulating its electrical and optical and structural properties. Recent demonstration of tin monoxide as a successful transparent p-type thin-film transistor and the discovery of its potential for ambipolar doping, suggests that tin monoxide—an environmentally-friendly earth-abundant material—could offer a solution to this challenge. However, only a handful of elements have been investigated as candidate dopants for this material. Identifying suitable elements for doping requires an enormous amount of experimentation, that involves expensive trial-and-error approaches and can take years before a suitable substitutional element is found. 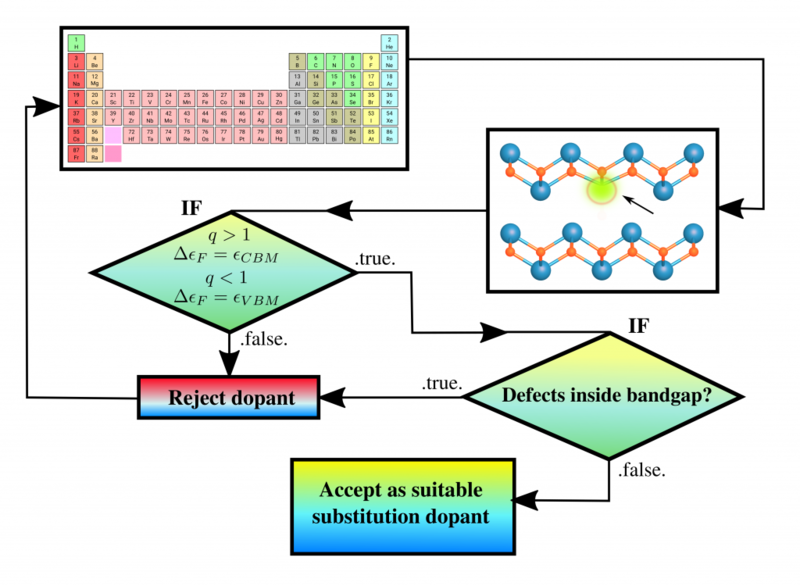 With the aim of accelerating this process and finding a path for successfully enhancing the electronic properties of SnO, an extensive computational search for useful dopant elements was performed using “Piz Daint” at the CSCS. 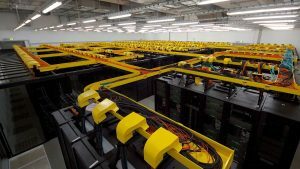 Employing computer simulations researchers at the University of Basel have discovered that substitutional doping with the family of alkali metals provides an as off yet unexplored possibility to increase the concentration of acceptors (i.e. increase p-type conductivity) without being detrimental to the transparency of SnO. Over ten shallow donors, which, to the best of our knowledge, have not been previously contemplated, were identified in this accelerated discovery thanks to Piz Daint. 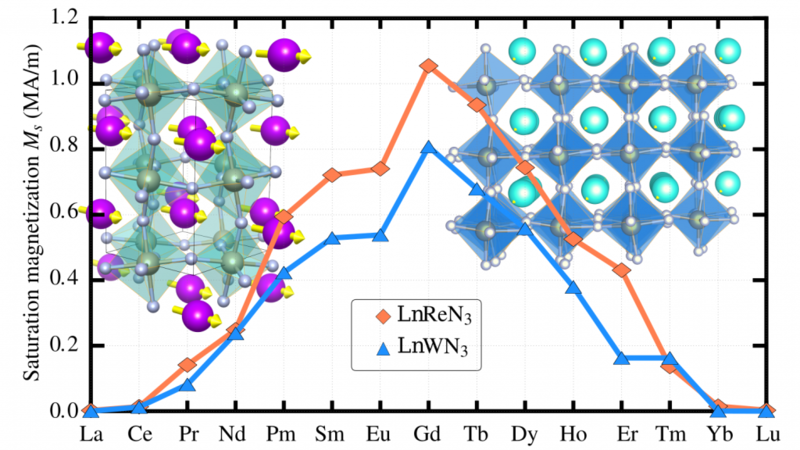 The work presents a detailed analysis of the most promising n-/p -type dopants—offering new insights into the design of an ambipolar semiconductor. If synthesized successfully, such a doped ambipolar oxide could open new avenues for many transparent technologies. Reference: Miglė Graužinytė, Stefan Goedecker, and José A. Flores-Livas. 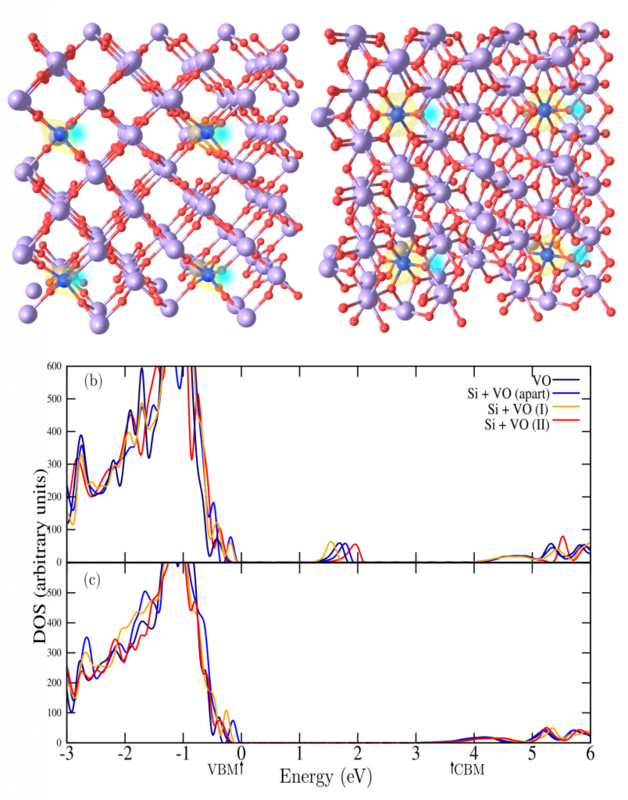 “Towards bipolar tin monoxide: Revealing unexplored dopants”, Phys. Rev. Materials 2, 104604 – October 2018. Perovskites are among the most promising and versatile class of candidate compounds for new or improved materials in energy applications, including photovoltaics, superconductivity, and lasing. With the general formula ABX3, the perovskite structure consists of corner-sharing BX6 octahedra forming a three-dimensional (3D) framework that provides room for the A units in the resulting cuboctahedral cavities. 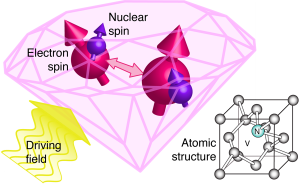 In our latest work we use classical interatomic potential and coupled with minima hopping method to screen the potential energy surface using simulation cells containing 2, 4, and 8 units (i.e., 24, 48, and 96 atoms), on were more than 140,000 structures were generated. 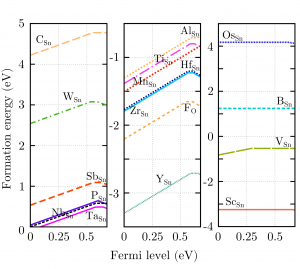 We also investigated how pressure affects the enthalpy and volume of the experimental and predicted phases of MAPI with respect to the orthorhombic phase (see figure). Based on our careful analysis of the available literature work, none of the experimental high-pressure experiments used the low-temperature orthorhombic phase as the starting material. Instead, our simulated XRD patterns show that the tetragonal phases is present in the samples of experimental work. Based on our calculations, we therefore suggest that either the delta or double delta phases could be synthesized by compressing precursor samples in the orthorhombic (Pnma) phase in low-temperature compression experiments. Since the orthorhombic phase is strongly destabilized upon compression, a transition towards the double-delta or delta phases will be rapidly favored with increasing pressure. Our work is now published in “Phys. Rev. Materials 2, 085201 2018″. High pressure is an exciting field that has evolved incredibly far since the pioneering work of Cailletet, Amagat and Bridgman. A substantial amount of research in the field of high pressure (post-Bridgman era) was triggered by the tantalizing idea of metalizing hydrogen (Wigner and Huntington transition) which dates back to the mid 30’s. The metalization of hydrogen is seen as the holy-grail of high pressure research, it has been a compelling subject of great interest for many scientists ranging from experimental chemists and physicists to theoreticians, including Prof. Gross (my former boss in Max-Planck, Halle). 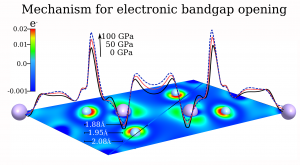 It is well understood, that compression of molecular systems at high pressure increases the electron-orbital overlap between neighboring atoms resulting in an increase of the band dispersions consequently closing the electronic band gap. Chemical pre-compression is certainly one promising route to reduce the metalization pressure on insulating elements, but not the only one! Another method to reach metalization is chemical doping under pressure –a path previously used at ambient pressures to render standard insulators superconducting.– We demonstrated theoretically this approach for H2O. In our latest article, we investigated the structural stability of polyethylene (H2C)n under pressure. The questions we want to address in the work were: is there a stable polyethylene phase under pressure that can be doped? if yes, is it superconducting? Finally, we dedicated this article to Prof. Hardy Gross, for his 65th birthday. This research article would appear in the Topical Issue “Special issue in honor of Hardy Gross” edited by C.A. Ullrich, F.M.S. Nogueira, A. Rubio, and M.A.L. Marques.